Get to a hotel room, plug a USB wall socket in, and the chances are that you’ll need a decently long cable to connect to a phone. The Bluelounge Kii is not going to change that. However, this 4cm long USB cable is so easy to travel with that you need never be without Apple Lightning or micro USB again. If you’re the kind of traveller who packs a portable battery – perhaps for long-haul flights – or travels with a laptop, the Bluelounge Kii is perfect. Weighing just 14g, this Apple Lightning or micro USB cable inserts into a metallic key-shaped section that grips the cable securely. In fact, it’s difficult to get out again unless you push the release button. The build quality is excellent, which is rare for cheap accessories like this. 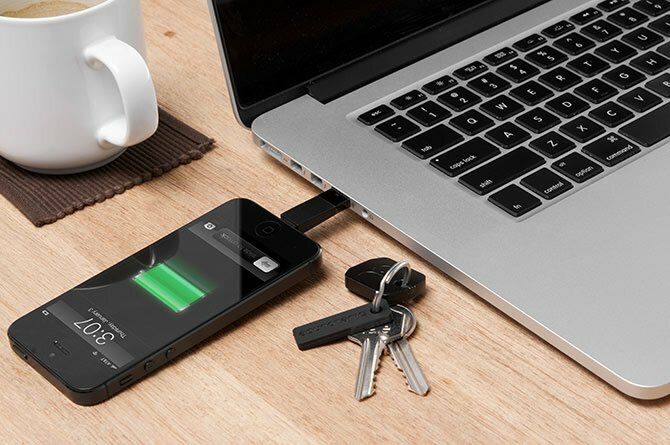 Its small size makes it difficult to use with a USB wall socket, so it’s not the cure-all for travelling in a tangle of cables, but this well-made, lightweight accessory is just so easy to travel with.